A friend of ours snapped this photo at the Action Sports Retailer Show at the San Diego Convention Center last month. 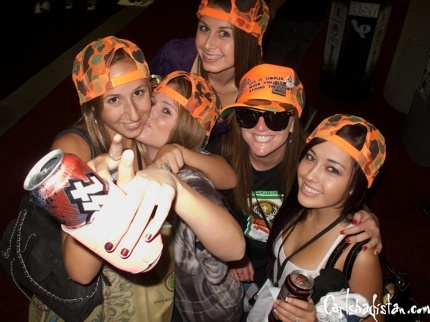 Apparently, these girls are all from Carlsbadistan and were at the show to load up on free stuff. Looks like they did a pretty good job. hell ya we got so much free stuff! CBADDD U KNOW!